Lake Winnipesaukee contains at least 253 islands, but only 5 of those islands can be accessed via a connected bridge. 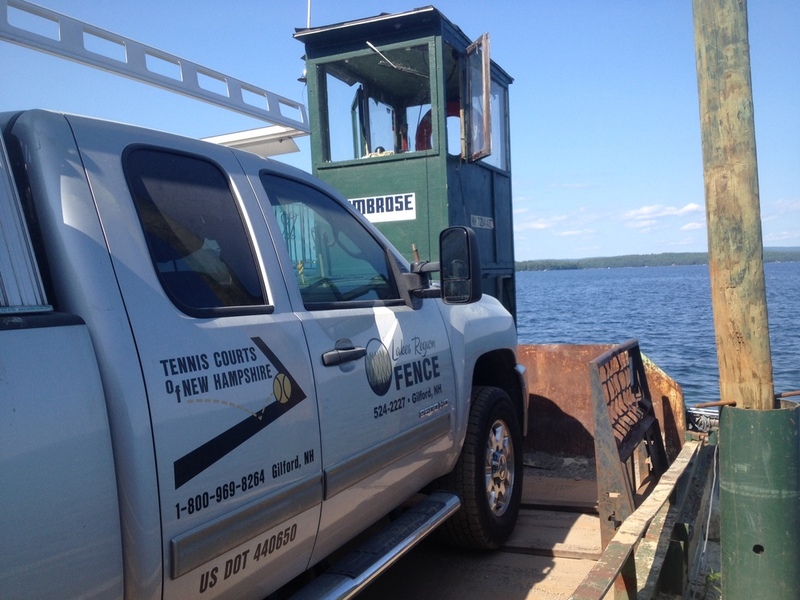 Our barges, small and large, are able to assist island residents with many of their construction and septic needs. We work with contractors to help mobilize their lumber, stone, and other aggregate material, as well as, other special projects including hauling waste and mobilizing large appliances. 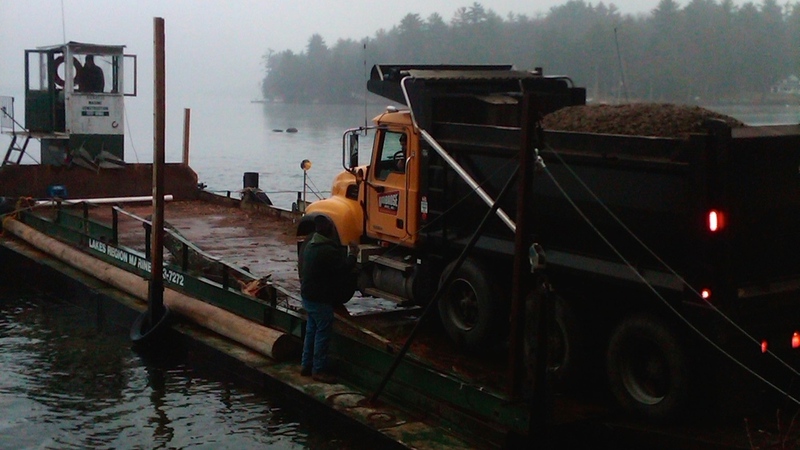 Septic, barge, Winnipesaukee, island, Bear, Pine, Rattlesnake, Shep Browns, concrete, sand, loam, tree removal, Cow, lumber, trucking, excavator, transport. Lake Winnipesaukee contains at least 253 islands, but only 5 of those islands can be accessed via a connected bridge. 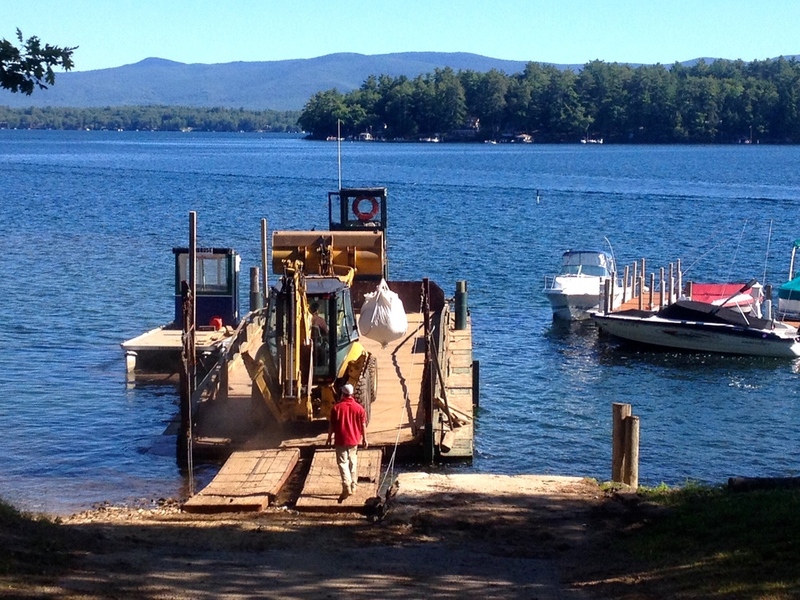 Our barges, small and large, are able to assist island residents with many of their construction and septic needs. We work with contractors to help mobilize their lumber, stone, and other aggregate material, as well as, other special projects including hauling waste and mobilizing large appliances.